Firstly, make sure that your webcam is connected and is working. Now, download the chat plugin and install it. 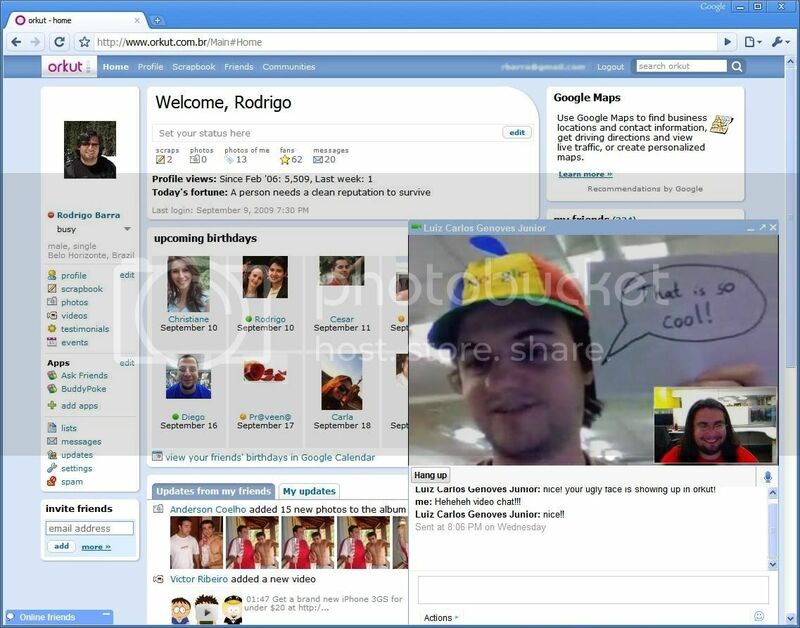 Sign in to Orkut, you’ll notice a small green camera icon next to your friends name who is also ready for video chat. To start a conversation with your friend simply open the chat window and click on the “Start video chat” link in the “Actions” menu. If you want to get a better view of your friend, you can pop out your chat window and increase the size all the way up to full-screen.